Burgess 982 is an universal electric fogger that can be used both as a fogger and as a mister. The main usage of this tool is as a thermal fogger, as it comes with a heat assembly, but by removing the assembly the fogger can also be used as a regular mister. Fogger is available with 110V and 220V models. As mentioned above, it can be used both as thermal and as ultra-low volume fogger, so it can be used indoors and outdoors. 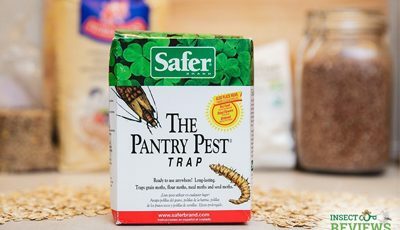 You can use it to get rid of unpleasant odors and mold, unwanted pests and bugs and it can also be used as an outdoor insect fogger. 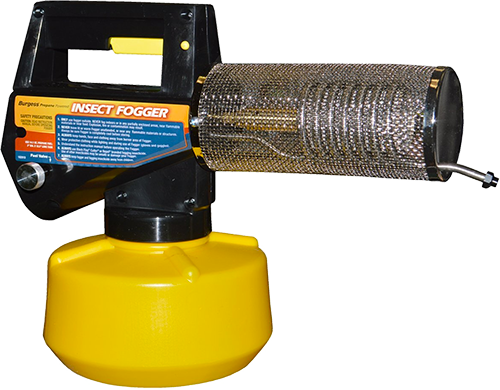 The body of the fogger is made from a plastic and design is very similar to the popular burgess propane fogger. Under the body there is a metal tank, where fogging solution needs to be filled. 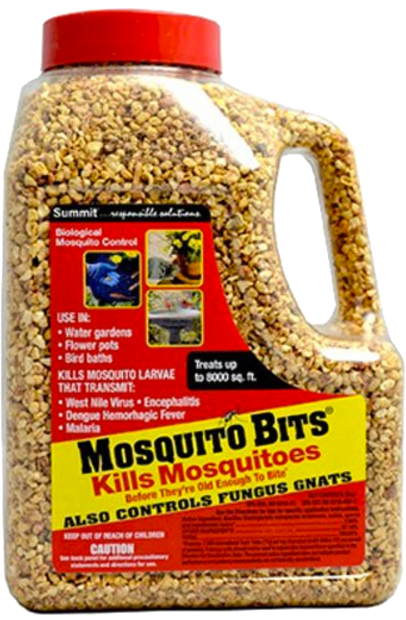 The container has got large capacity and it can store 0.79 gallons (3 l) of insecticide. This is quite a large container compared to most propane foggers that on average have a 0.3 gallon (1.18 l) fogging solution tank. With such a large container you will get over 3 hours of operation time with one tank. The container attaches to the body of the fogger with clamps on the sides of the tank. On top of the body there is a handle so the fogger can be used as a portable device. Under the handle there is a fogging trigger, in the same place as on many propane foggers. There is a flow adjustment knob on the body of the fogger. With this knob you can regulate the flow rate of fogging solution that gets passed trough the heating assembly. To make the fogger produce a dry fog turn the flow valve clockwise. To produce a dry fog the fogger must output particles in very small size, from 5-20 microns. On average this fogger outputs particles in 15 micron diameter. The heating is done into the heat assembly, which is in form of a barrel and located on the front of the fogger. Insecticide gets pumped from the solution tank trough a special pump into the heat assembly when the fogging trigger is pressed. The heat barrel is heated to high temperatures by electricity and when the fogging liquid is pumped into the barrel, it gets vaporized and sprays out from the nozzle of the fogger into very small particles. As mentioned above, the heat barrel is detachable, so the fogger can also be used as a mister with removed heat barrel. If used as a mister, the fogger is going to spray out the insecticide in form of a mist, not fog, because the fogging liquid does not get vaporized. This way the fogger can also be used indoors with appropriate solution. On the back of the fogger there is an electric cable with plug at the end, so it can be plugged in any electrical socket, if you are using the fogger indoors. Electric cable that is mounted on the fogger is pretty short, approx. 1-2 feet long (30-60 cm) so if you need to fog a larger outdoor area, you will have to use and extension cord. Make sure that the extension cord is suited for outdoor usage, before pluming in the electric fogger. Burgess 982 electric fogger is made in the USA. 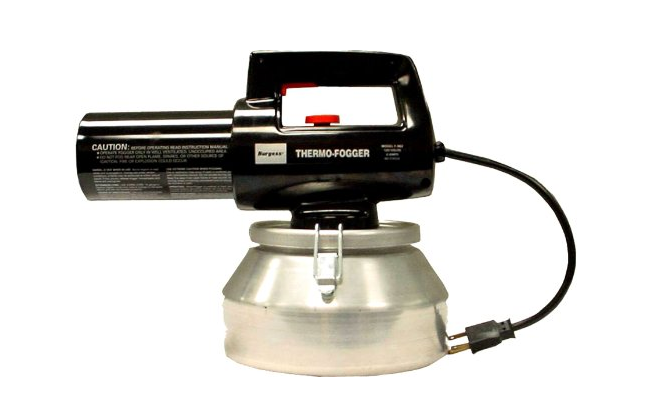 The fogging process with this electric fogger is very similar to fogging with thermal propane foggers, but instead of using propane gas to heat the heating chamber, this fogger uses electricity. When the fogger has been plugged into electric source and turned on, let the heating barrel heat up for couple of minutes before starting to fog, or else it will not be able to vaporize the fogging solution and it will drip out of the nozzle of the fogger. 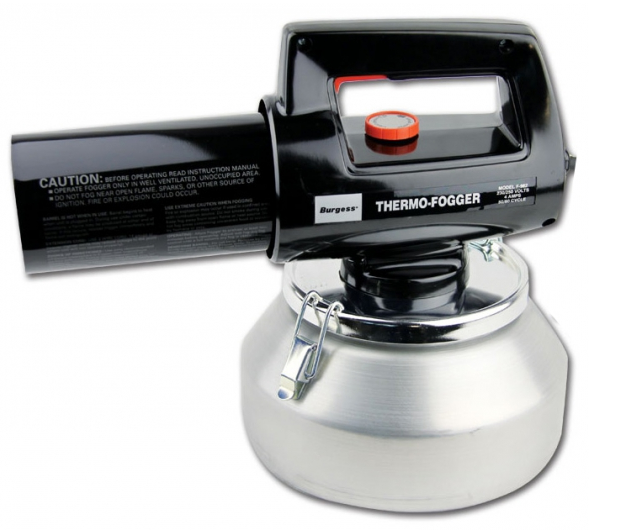 When the heating barrel has been heated up, you can start to fog in the same way as with propane foggers by pressing the fogging trigger under the handle of the fogger. Wait for couple of seconds between fogging triggers to allow the heat barrel to reach the same temperature, so the fog produced is dry and no fogging liquid drips out of the nozzle. 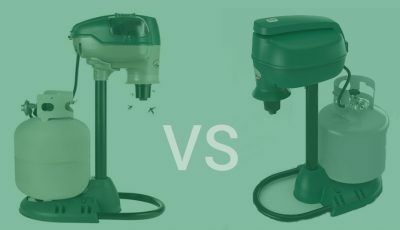 As mentioned, Burgess 16982150 fogger can be turned from thermal fogger to mist sprayer by removing the heating assembly. This may be useful, when fogging an indoor area, but for outdoor fogging we suggest using the heating assembly. 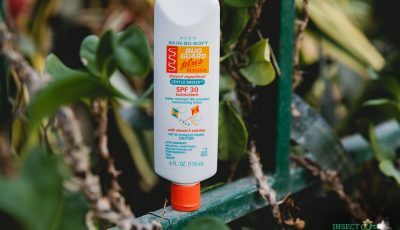 Thermal fogging with Burgess fogger is going to be much more effective for killing insects and mosquitoes. The size of the Burgess 982 fogger is 12.8×12.5×8.8 inches (32.5×31.8×22.4 cm). The weight of the unit is 5.7 pounds (2.6 kg). How long is my Burgess 943 warrantied for I bought it through Amazon almost a year ago and now after trouble shooting it does not fog,what do I do? For cockroaches, you can use the Riptide fogging solution. Just make sure to use your fogger as a regular mister when applying Riptide instead of heating up the solution since it’s water-based.